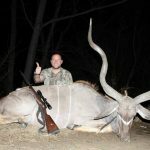 Lowlands Hunting Safaris takes great pride in bringing you some of the top hunting destinations and opportunities in South Africa and beyond. We are based in Kwazulu Natal, the most eastern province of South Africa. We have used Lowlands ,our home farm as the centre of our operation and this property has been in our family since the early 1900s. The family farm has diversified and now is the starting point for many of our lowlands adventures. We have access to many thousands of hectares to hunt in both this province and the rest making up this wonderful and diverse country of South Africa. 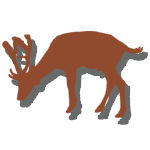 We hunt and traverse on dedicated game ranches, mixed livestock and game farms and community reserves. We are proud to offer you some of the most diverse and premium hunting areas in the country. Lowlands Hunting Safaris caters for all methods of hunting, having had great success with bow, cross bow, black powder, rifle and handgun. 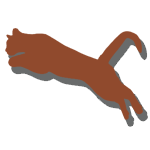 The hunting opportunities and species available range from dense bush loving game such as Bushbuck and Nyala, to true mountain game , such as Cape Eland, grey Rhebuck and Mountain Reedbuck. Inhabiting the rolling grasslands and steep slopes of the Drakensberg. We are also fully licenced and experienced to guide your dangerous game adventure. 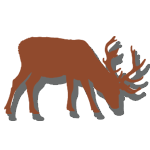 The big five is synonymous with South Africa and we are proud to be able to bring them to you the hunter. Whether it be Cape Buffalo, Elephant or the King of beasts the Lion, we will walk and stalk them and make sure you make memories that will last a lifetime. At the end of the hunt great memories and adventure are what we are about!! Lowlands Hunting Safaris is able to catere for your every possible need and is proud to bring you 30 different species of plains game including Giraffe, Sable, Roan Antelope, Cape Eland and the Grey Ghost the Kudu. We bring you three endemic South African species these being Blesbuck, Black Wildebeest and Grey Rhebuck. We also bring you the dangerous game , Lion, Leopard, Elephant, White Rhino, Hippo and the mighty Cape Buffalo. From the time your safari starts you will be looked after and guided by some of the best professional hunters and guides in this area. All of who have been hand selected for the hunting prowess and skill in there field. Armed with personal knowledge of the species and areas will make sure your hunt is a success and you enjoy your time with us at Lowlands. At lowlands we strive to make your dreams REALITY! Out on safari all our vehicles are equipped for the harshest conditions and prepared for the toughest extractions. Field preparation of the trophies and processing of the carcases is performed buy highly skilled and well trained trackers. The work is carried out at the concession bases and the greatest care is taken over all trophies and skins. The catering and cuisine at Lowlands is of the highest standard and great farm style meals are waiting for you on your arrival back at camp. All meats are supplied buy our own butcheries and only top quality products are used. We will prepare delicious meals and use a lot of local produce and game that has been harvested by you the hunter. We look forward to tailor making your next safari whether it be hunting, fishing or photographic. Los Vega: Part 2 – Picture Postcard Memory.